This entry was posted in Hungary and tagged Fidesz, indirect election, indirect presidential elections, Janos Ader, presidential elections, Viktor Orbán on April 13, 2017 by Philipp Köker. 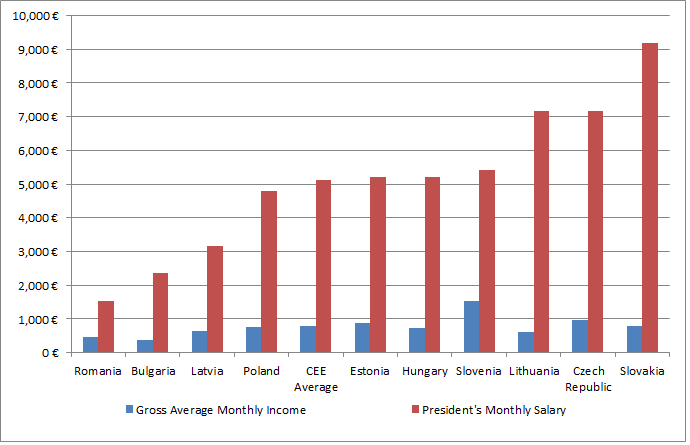 Comparing inaugural addresses of Central & East European presidents: Putting the country first? Presidents’ inaugural addresses are usually eagerly awaited by journalists and citizens alike as the new office-holders regularly use them to ‘set the tone’ for their term in office. In Central and Eastern Europe (CEE), inaugural addresses are usually held in parliament (also due to the fact that half of the president are elected there by the deputies and not by popular vote) and while presidents’ words receive their fair share of media attention, they can hardly measure up to the inaugural speeches of the U.S.-American president. A comparison of presidents’ inaugural addresses from Washington to Obama on the website of the New York Times shows that since president Harry Truman ‘America’, ‘country’ or ‘nation’ have consistently ranked among the most-used words in presidents’ inaugural speeches. Political circumstances also left their mark, yet these only came second to the overall trend of presidents putting their country first in their speeches. 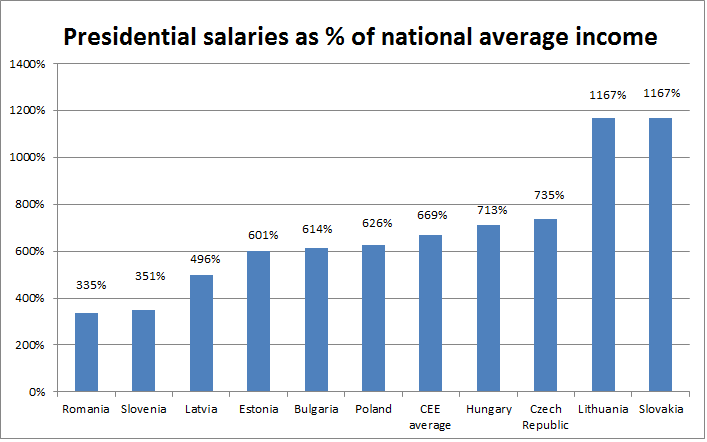 This article gave the motivation to conduct a similar comparison among the presidents of the CEE EU member states. 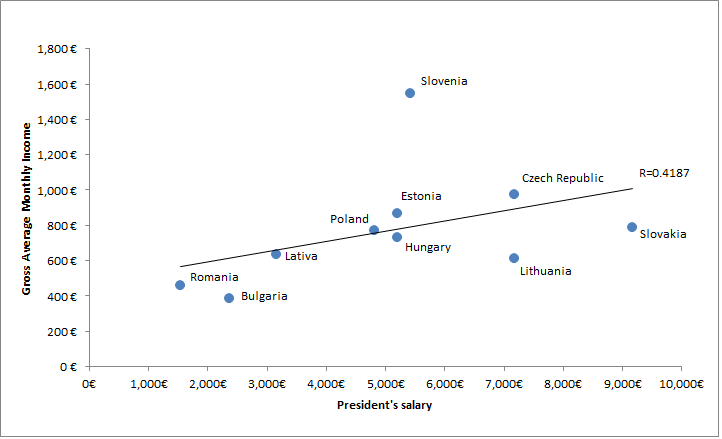 Given the pattern in inaugural addresses of US presidents, one should expect that presidents in CEE will also predominantly stress their respective country/nation in their speeches. Yet, speeches should at least party reflect current political problems or the incumbents’ ambitions for their term in office, too. For this blog post, I have created word clouds reflecting the number of times certain words have been mentioned. While there are more sophisticated techniques in Political Science to analyse the frequency of words and their meaning, the visualisation is a very good method to give an overview (in the very literal sense of the word) of what presidents stress in their first speeches to the nation. As historic inaugural addresses are often not available in English translation, I have limited my comparison to the currently serving presidents. Surprisingly (or not), in almost all of the inaugural addresses of CEE presidents (except the one by Václav Klaus, but I will come back to him later) the respective ‘country name’ / ‘country adjective’ / ‘nation’ / ‘people’ belong to the most frequently used words. It is particularly prominent in the speech of Bronislaw Komorowski held in the wake of the Smolensk air crash in which his predecessor, Lech Kaczynski, tragically died. More than the other presidents, Komorowski stresses Poland/Polish/Poles in all varieties of the word, while ‘Smolensk’ is mentioned only rarely (you can find it in the upper right corner). ‘Europe’/’European’ is also mentioned in several addresses but features particularly prominent in the inaugural speech of president Ivan Gasparovic who was inaugurated only shortly after Slovakia’s accession to the EU (in fact, ‘Slovakia’ is mentioned less often than ‘European’). 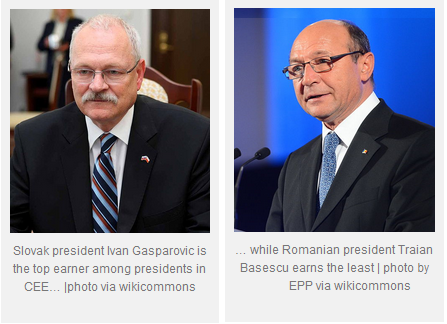 Traian Basescu (inaugurated in December 2004) also mentions ‘European’ and ‘integration’ with above-average frequency. Another variation of this pattern is Borut Pahor’s repetition of the word ‘crisis’ which also – but not exclusively – relates to the European currency crisis. Furthermore, several presidents – especially those elected by popular vote – bring in more ‘policy’ content. Bulgarian president Plevneliev often mentions ‘security’, ‘economy’/ ‘economic’ and ‘energy’ and his Lithuanian counterpart, Dalia Grybauskaite, mentions ‘courts’, ‘policy’ and ‘interests’ while also addressing a very wide range of other issues. There are three inaugural addresses which in my opinion and for one or other reason stand apart from the others speeches. I present my comments on these below. The inaugural speech of Estonian president Toomas Hendrik Ilves stands apart because in no other speech one word – ‘Estonia’ – is mentioned with such a high relative frequency that it figuratively dwarfs the other content. The high frequency of ‘people’ and ‘state’ paired several references to ‘independence’/’independent’ makes this speech relatively apolitical. Given Ilves’ foreign policy background and the fact that he understands his role as being mostly as being above petty politics (plus, the office only provides him with very limited agency), it is not surprising that what we see here is rather a statesman’s speech than the outline of a political programme. Nevertheless, the sheer dominance of ‘Estonia’ makes this one of the most interesting word clouds. Hungarian president Janos Áder’s speech on the other hand is also clearly influenced by the political circumstances at the time of his election. The dominance of the word ‘compromise’ demonstrates Áder’s attempt to make a new start as president and build a bridge to the opposition (in fact, his speech was very well received by commentators and politicians from all parties alike). While his Polish colleague Bronislaw Komorowski appeals to national feelings to call for ‘cooperation’, Áder’s choice of words presents him as a pragmatist with a more practical approach to reconciling political divides (the frequency of ‘respect’ also supports this image). Of course, ‘Hungary’/’Hungarian’, ‘country’ and ‘nation’ are also mentioned very frequently and the speech thus still conforms to the general pattern. As always, there is one exception to every rule and when it comes to presidents in CEE this is usually Czech president Václav Klaus. Even though ‘country’ is still mentioned relatively frequently ‘Czech’ or ‘Republic’ are not. Interestingly, the words ‘want’ and ‘political’ are mentioned most often (and this even though wordle filters many often used verbs such as want to make the word clouds easier to interpret). Of course, this result leaves room for much speculation – especially as it fits Klaus’ image as a power-hungry politician surprisingly well. 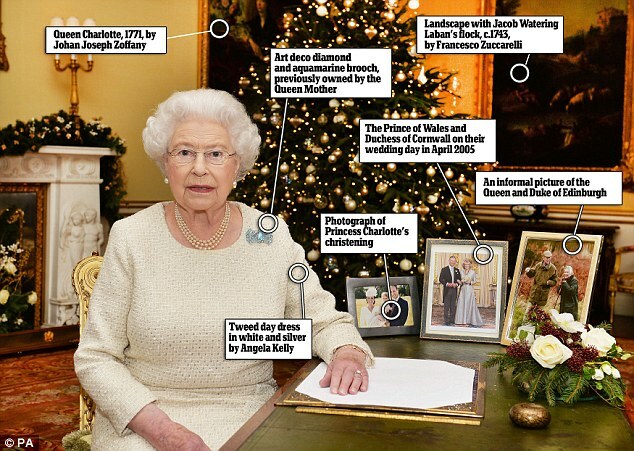 As mentioned above, word clouds are not the most sophisticated (or indeed particularly valid) means of analysing inaugural addresses and the above analysis is too superficial to reach definite conclusions. 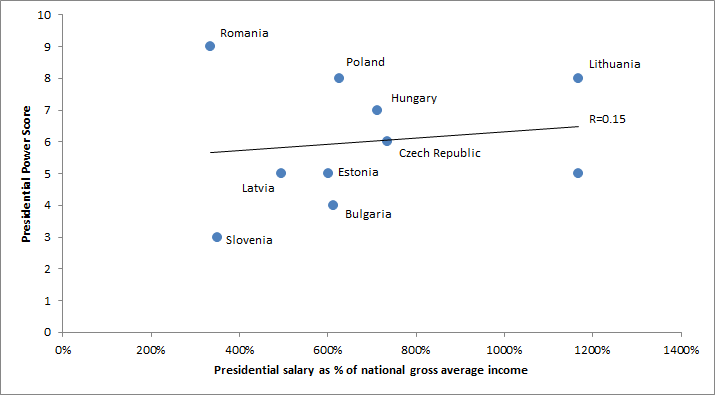 Nevertheless, it is interesting that a trend among US presidents is also visible in the EU member states of Central Eastern Europe. The (manifold) exceptionalism of Václav Klaus does not fit the general pattern (his predecessor Václav Hável also mentioned ‘country’ and ‘nations’ more frequently than Klaus) but raises the question in how far his successor will conform to the trend and put his country first or use his inaugural address to set his own priorities. This post first appeared on presidentialactivism.com on 22 Janurary 2013. A list of links to CEE inaugural speeches can be found here. This entry was posted in Bulgaria, Czech Republic, Estonia, Europe, Hungary, Latvia, Lithuania, Poland, Romania, Slovakia, Slovenia and tagged inaugural speech, inauguration, presidential speeches on August 11, 2014 by Philipp Köker.